Biomaterials is a rapidly emerging component of the materials research enterprise. Biomaterials research covers a broad range of activities that includes the development of materials used for delivery of therapeutic and diagnostic agents, construction of medical devices that must be compatible with living systems, and scaffolds for tissue engineering and regenerative medicine. Another aspect of biomaterials research involves exploiting mimicry of, inspiration by, or co-opting of biological systems to enable creation of novel functional materials. For the purposes of the workshop, the various aspects of the field have been captured under the following topic headings: Cell-Material Interactions, Dispersed Systems, Hard Materials and Composites, Soft Materials, and Thin Films and Interfaces. Expertise in all of these areas will be represented among the invited workshop participants. The workshop will involve a mix of plenary speakers, breakout sessions devoted to the topics listed above, and a panel discussion on the subject of biomaterials education. 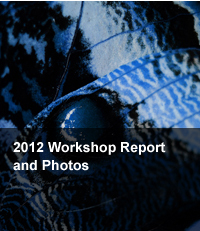 A formal workshop report will be issued by the steering committee. The workshop report can be expected to guide the biomaterials community (educational institutions, commercial organizations, and funding agencies) in directing their resources toward the most critical and important biomaterials research challenges.